We're almost halfway through November now and with the chilly weather starting to set in here in the UK, we think it's the perfect time to start curling up by the fire with a good book and a mug of hot chocolate. Sounds heavenly, right? under a warm fluffy blanket. 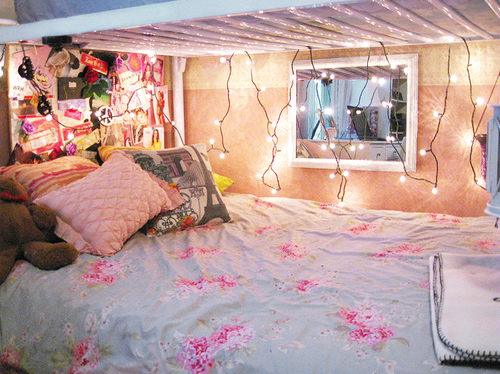 Beautiful and feminine bed/reading nook! This reading place is my favourite because of the fairy lights. it would be set to snuggle up in! little world with a book. Doesn't this just look so quaint?